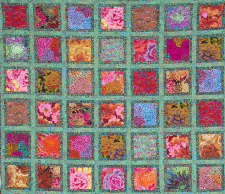 "Based on "Dotty Frames" from the book Kaffe Fassett's Quilt Grandeur. 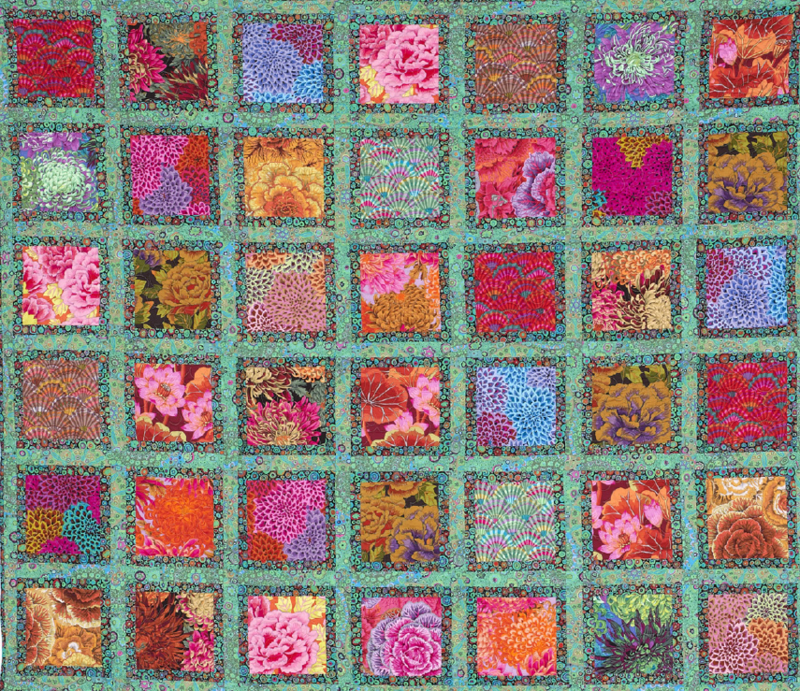 This is a scrappy quilt so there is no need to place each fabric in the same place as in the original. Cut more squares from your favorites and fewer from the others."